How does it feel to slog away and finally reach your goal? Brilliant, isn’t it? Gone are the memories of the struggle, the doubts, the sleepless nights, the anxiety. In its place that overwhelming feeling of exhilaration. You did it! You and no one else. You are a success. 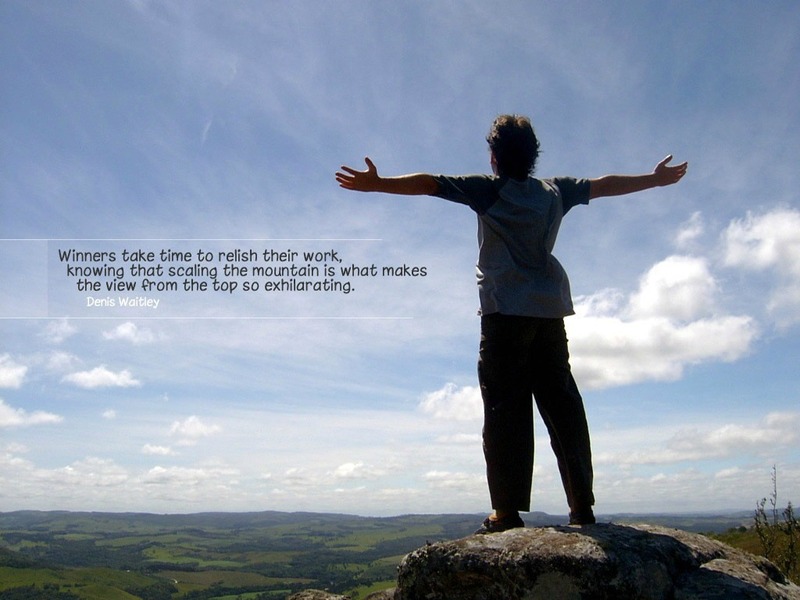 What mountains will you scale today? I’m at base camp on mine…I’m adjusting to the altitude sickness. It scares me and excites me, in equal measures, but I’m going for the summit, at some point. Thanks for stopping by here and have fun scaling your mountain. I’ll be back on here later on, with some more of my daft thoughts. Have a great day. Prev Remember this? We’re getting old. Next The cycle of life. We can’t judge a person by the height of their mountain. The smallest of steps might seem like giant steps to some.